Carmel, IN, Tuesday, February 12, 2019 – Bill Culpepper, President & CEO of SePRO Corporation announced today that Excellere Partners, a private equity firm focused on partnering with entrepreneurs and management teams, has made a strategic investment in SePRO Corporation. Over the past 25 years, SePRO has established itself as an innovator of specialty products and services that satisfy the unique needs of its customers. The company offers products that manage invasive weeds and algae in aquatic environments, plant growth regulators, herbicides, insecticides, and fungicides for the turf and greenhouse markets, as well as herbicides for the specialty agriculture markets. SePRO has a robust pipeline of new products in development including multiple novel biologic solutions. Since its beginning, SePRO has invested to create research, manufacturing and marketing capabilities to serve its customers. The partnership with Excellere will provide resources to enhance and accelerate the company’s growth opportunities. SePRO and Excellere intend to implement a multi-faceted growth strategy comprised of investments that further enhance SePRO’s infrastructure; continued penetration of its existing products; commercialization of a pipeline of new technologies; and complementary partnerships with other leading agricultural and water-focused specialty chemical businesses. SePRO Corporation is dedicated to discovering and developing sustainable solutions. Founded in 1994, SePRO’s mission is to provide plant protection and plant management products and services that fit specialized market needs. The company acquires, develops, manufactures, and markets value-added products and services that satisfy the unique needs of their customers. In addition, SePRO has partnered with several of the top agriculture chemical companies to develop chemistries for use in SePRO’s key markets. Central to that product innovation is the 410-acre SePRO Research & Technology Campus (SRTC) in Whitakers, NC. SePRO is Pleased to Welcome Dr. Erika Van Goethem to its Aquatic Research Program. On January 2, 2019, Dr. Erika Van Goethem will begin as an Aquatic Technology Development Scientist based out of the SePRO Research and Technology Campus (SRTC) in North Carolina. Erika will be responsible for research, development, and technical support of SePRO products and product concepts in selected US geographies. Erika recently received her Ph.D. in Chemistry from the University of North Carolina (UNC)—Chapel Hill having previously earned her B.S. in Chemistry from Eastern Michigan University. Along with her research and associated publication efforts, Erika was a teaching assistant for 4 years at UNC and focused on education and outreach activities to enhance awareness of science issues serving as chief editor of UNC’s The Pipettepen scientific blog. She is also certified in Science Communication by the American Association for the Advancement of Science. Prior to and during her studies, she worked for a lake management firm in Michigan serving numerous roles from client communications, application of algaecides/herbicides, water quality monitoring and permit planning and execution. “We are pleased to expand the SePRO Aquatics Research team with the addition of Dr. Van Goethem. 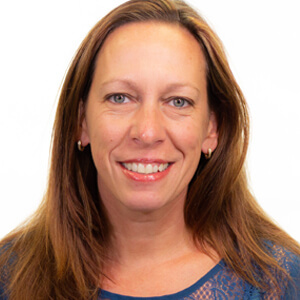 She brings a unique perspective and skill set to our research team and aquatics industry with her scientific training and personal working experience.”, said Dr. Mark Heilman, SePRO's Senior Aquatics Technology Leader. Welcome, Dr. Van Goethem and best wishes as you begin a new journey of advancing the science of water resource management. SePRO extends a warm welcome to Ryan Van Goethem as the Technical Specialist for the Great Plains & Mountain Territory, covering the Aquatics and Turf & Landscape markets. Ryan has recently completed his MS in Biology at Michigan Technological University. His research focused on the Effects of Invasive Macrophytes on Littoral Primary Producers in North-Temperate Lakes. In addition, Ryan has worked for many years at his father’s lake management business located in Michigan. This experience provided an extensive exposure to operational treatments of lakes and ponds and, coupled with his education, positions him for an impactful and rapid start at SePRO. Ryan's first day was October 16th and he will be relocating to the Denver, Colorado area by the end of October. You can reach Ryan at his mobile, 303-229-9622 or by email at ryanv@sepro.com. Please welcome Ryan to the SePRO Team. SePRO is excited to announce the addition of David Owens to the marketing and sales team. Mr. Owens will be responsible for SePRO’s business development strategy, with focus on the specialty crops segment and will also serve as a National Accounts Executive. 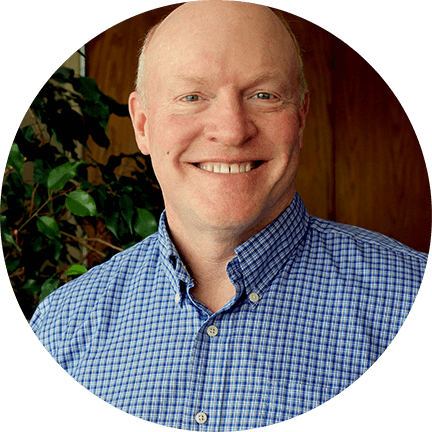 David is a seasoned veteran of the agriculture industry, with over 34 years of experience at Corteva (formerly Dow AgroSciences). David brings a broad range of experiences including all aspects of marketing, direct line workforce management, IT/IS and Six Sigma process improvement. David resides in Carmel with his wife Karen. They have three children, Megan, Kaitlin, Sean and 2 grandchildren, Sawyer and Tucker. David loves anything that gets him outdoors and enjoys fine-tuning his culinary skills. California Growers now have a superior new tool to control thrips, aphids, mealybugs, scales, lepidopteran insects, and more. Hachi-Hachi SC is active on all life stages of targeted insects; eggs, immature stages, and adults. Hachi-Hachi SC stops insects from feeding and oviposition within hours of application. Hachi-Hachi SC contains the active ingredient tolfenpyrad, a new chemistry for California growers. Hachi-Hachi SC acts by inhibiting cellular respiration in insects. Research has demonstrated Hachi-Hachi SC to be highly effective in control insect pests such as thrips, aphids, mealybugs, scales, lepidopteran insects and added suppression of whiteflies, powdery mildew and downy mildew. The formulation is very easy to use and has excellent crop safety on labeled crops. Please contact Max Gilley, Technical Specialist, CPA; maxg@sepro.com or 850-680-6860 to learn more and to incorporate this new tool into your management plans. SePRO announces USEPA approval of ProcellaCOR™ Aquatic Herbicide. SePRO Corporation announces today the United States Federal registration of ProcellaCOR—a novel, game-changing technology for aquatic plant management. The first non-copper herbicide for localized treatments without any restriction on human potable water consumption following application. In conclusion, EPA describes that there are ‘no risks of concern to human health from any route of exposure’ and ProcellaCOR ‘may provide a better alternative to older chemistries that require higher levels of risk mitigation practices in order to reduce exposure.’ With an excellent environmental profile, EPA describes ‘no risk concerns for non-target wildlife.’ With low use rates due to unprecedented activity on major invasive aquatic plants, ProcellaCOR will reduce needed herbicide rates by orders of magnitude versus alternate, older technologies. Cotton farmers will now have a new preemergence herbicide and class of chemistry in the fight against resistant weeds. On February 11th the US EPA registered Brake® Herbicides for cotton. Brake offers exceptional cotton tolerance with extended residual weed control allowing farmers to get their cotton off to a great start and maximize yield potential. It is estimated over 9 million acres of cotton will be planted in 2016. Many of those acres have experienced challenges with resistant weeds like Palmer amaranth (Palmer pigweed). This is a significant threat to production when just one pigweed plant in 60 feet of cotton row has been shown to reduce yield by up to 30%. This challenge facing growers was the stimulus for USDA seeking SePRO’s interest in developing Brake for cotton, as it represented a much needed new mode of action. Brake has been developed over the last 4 years in conjunction with the National Cotton Council, Cotton Incorporated, over 25 university researchers, industry experts and growers. Brake comes at a perfect time, when growers are looking for additional tools to strengthen resistant weed management programs. It offers a strong residual herbicide that provides the foundation for comprehensive weed control programs, regardless of traits. Brake provides very good control of herbicide-resistant Palmer amaranth, along with many other broadleaf weeds and grasses. This versatile herbicide excels under wet conditions providing assurance when it is too wet to get back in the fields for timely postemergence herbicide applications. “Having the opportunity to develop Brake alongside the grower community has been invaluable for this new class of chemistry for cotton,” said Bill Culpepper, CEO SePRO Corporation. To learn more about the Brake story and the experiences of researchers and growers, go to brake.sepro.com.